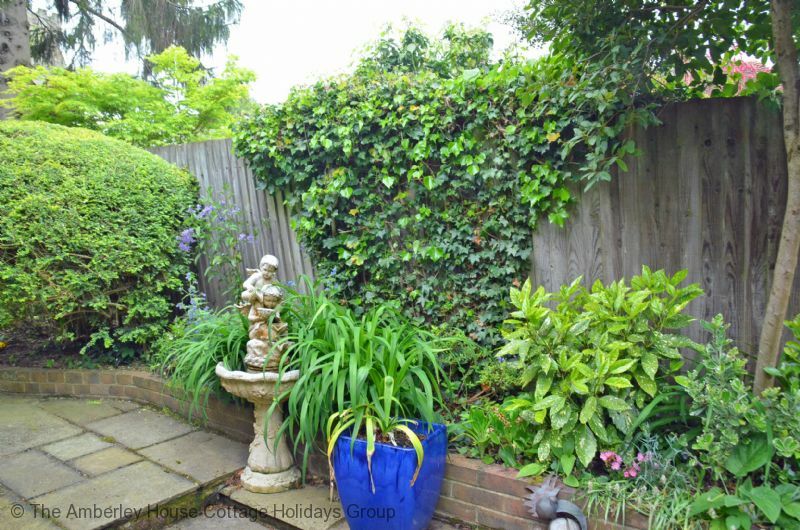 A lovely cottage set in a village location with easy access to the South Downs, Sussex coast and many local attractions. Lychgate Cottage is set within the grounds of the Owners' property but maintains its privacy with its own outside area and access. 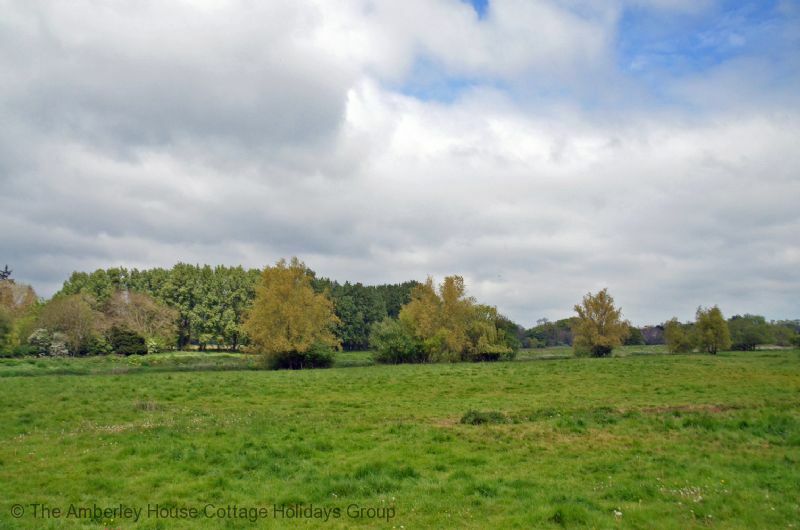 It is just a short walk to the village high street from the cottage with all of its of local shops and amenities and yet also has easy access to the myriad of countryside walks in the local area. The accommodation is all on one level and is perfectly suited for two. You will enter via the galley style kitchen with an Edwardian style glass roof which allows wonderful light into this area. Fully equipped with oven, hob, fridge, freezer, dishwasher and washing machine it has every modern convenience you could need during your stay. Leading on from the kitchen is the lounge area with a comfortable sofa and armchair available and entertainment provided by Freeview television and full Wi-Fi access. There is a also a full size dining table and chairs available in this area. 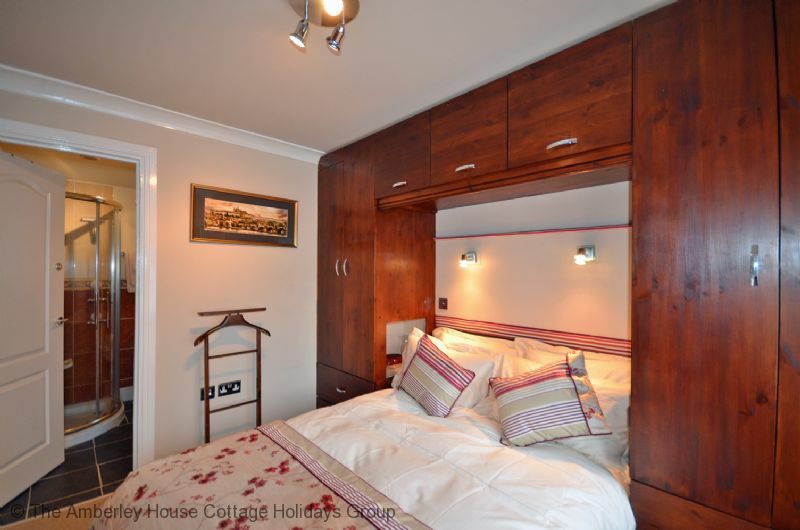 The comfortable bedroom is accessed from the lounge and is furnished with a double bed and plentiful storage. En suite to this, the spacious bathroom has a large corner shower cubicle, wc and basin. Outside there is a private patio area for the use of guests with table and chairs to use for those sunnier days. 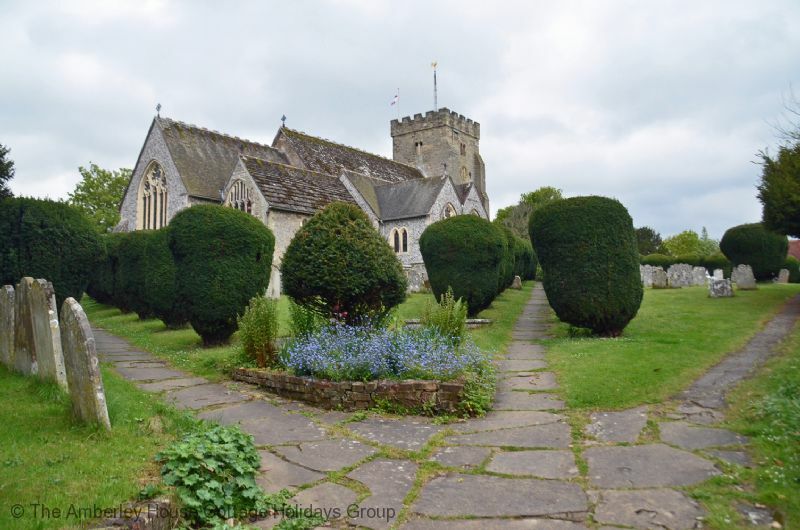 Directly behind the property is the beautiful parish church which you can access through the shared owner garden area. There is parking available on the private drive for one car. 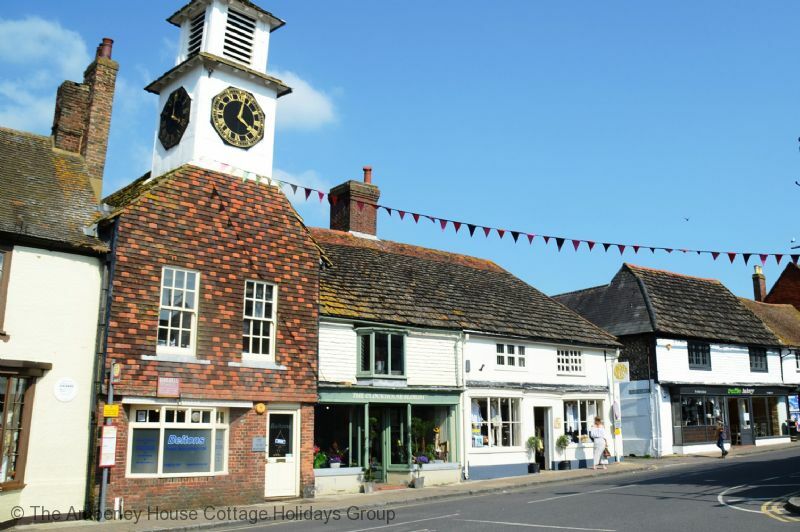 Henfield is a lovely market village with a great choice of independent and individual shops. It's an interesting little town to explore and from here you can walk or cycle on The Downs Link along the old railway line from Henfield and head north towards the old station at West Grinstead station or south towards the Downs and Steyning and enjoy some beautiful scenery as it follows the line of the Adur. 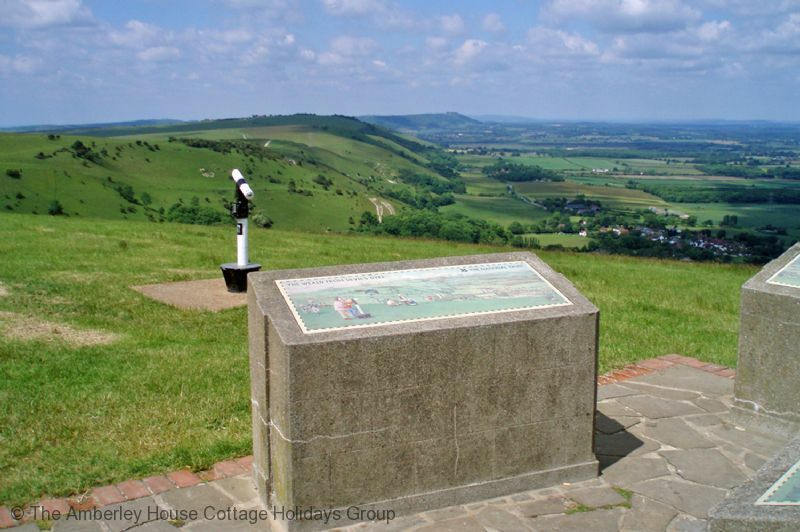 Just five miles to the south is the popular vantage point of Devil’s Dyke. 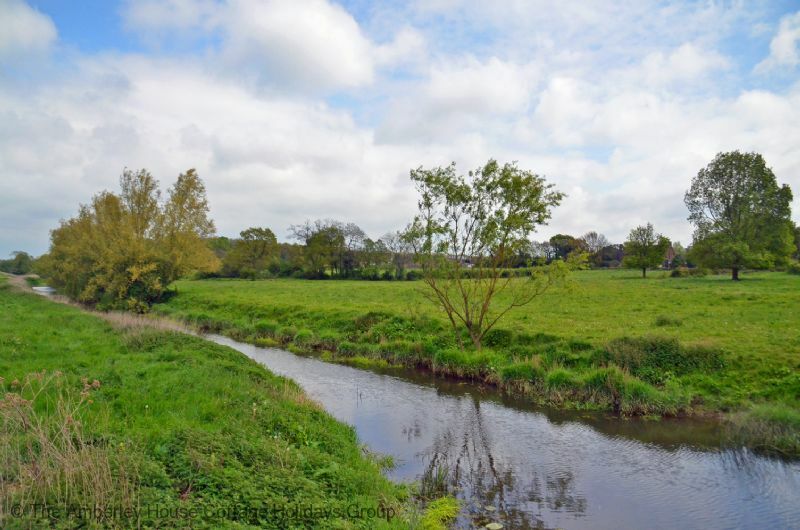 At nearly a mile long, the Dyke valley is the longest, deepest and widest 'dry valley' in the UK. 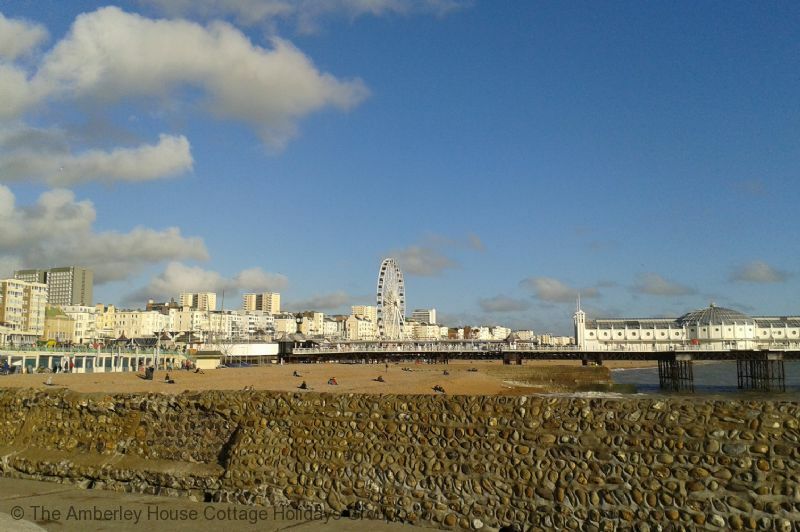 Everywhere you walk history surrounds you, from Iron Age forts to Victorian funfairs. When John Constable described the panorama from Devil’s Dyke as 'the grandest view in the world', he wasn’t wrong, but there is so much more to discover here than just a beautiful view. Within 15 minutes drive and you will happen across delightful country villages encapsulating a wealth of history ; from Bramber with its enchanting historic 15th century timber-framed house of St Marys to the vibrant small town of Steyning full of narrow streets with many timber framed Tudor style buildings as well as some fine Georgian townhouses. The wonderfully historic town of Arundel is just half an hour away and is well worth a visit . This stunning place is dominated by the symbolic Arundel Castle which is seat of the Dukes of Norfolk and is set in 40 acres of sweeping grounds and gardens. The castle has been seasonally open to visitors for nearly 200 years. It is one of the great treasure houses of England and is home to priceless works of art in stunning rooms. Arundel offers a plethora of craft and antique shops as well as restaurants and tearooms. It’s a great place to wander and just enjoy its hospitality. Thirty minutes to the east and you will be in Lewes - a fantastic place to visit - full of cafes, restaurants and bars. The River Ouse flows through the town dividing it into two areas between Cliffe High Street presented in beautiful period style with its gateway, a paved bridge, crossing the river and the main High Street that heads up the hill. The castle at the top of the town is open to visitors as is the Barbican Museum opposite. It offers a peaceful area immediately off the High Street. In the town’s Southover district is Anne of Cleves House which is also open to the public. It was left by Henry VIII as a settlement in their divorce. Visiting Lewes on the first Saturday of the month is recommended when the thriving Farmers’ Market comes to town with lots of delicious fare on offer! From the top of the South Downs the chalk hills slope away towards the vibrant and cosmopolitan city of Brighton just twelve miles from Lychgate Cottage. 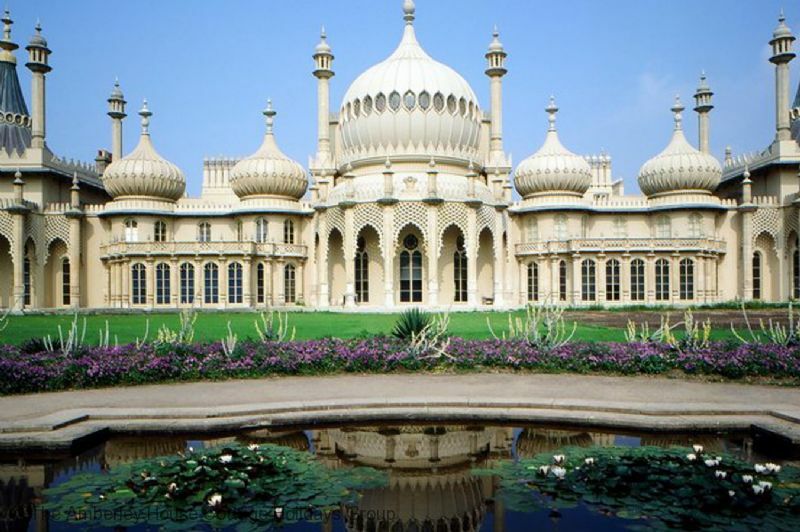 Here you can enjoy the decadence of the Royal Pavilion, once the summer home to the Prince Regent, or experience the 'vertical pier' of Brighton's futuristic i360 which is the world's tallest moving observation tower at 138 metres. There is such a wide range of diverse restaurants, bars and eateries to keep you energised to enjoy the vast array of attractions in this beautiful coastal city. Lychgate Cottage - 491453 Lychgate Cottage. 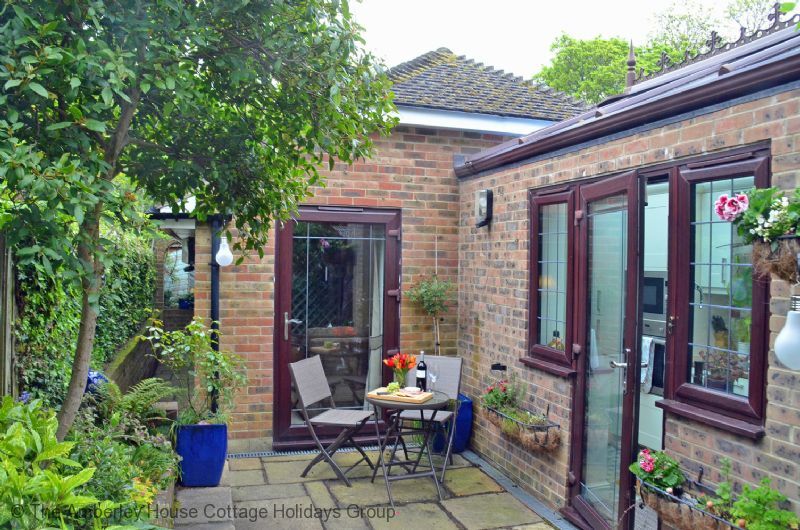 Henfield cottage, perfect for two, in Henfield village. Excellent for walkers with easy access to South Downs and Devils Dyke. Short drive to the coast and Brighton. Highly recommended. 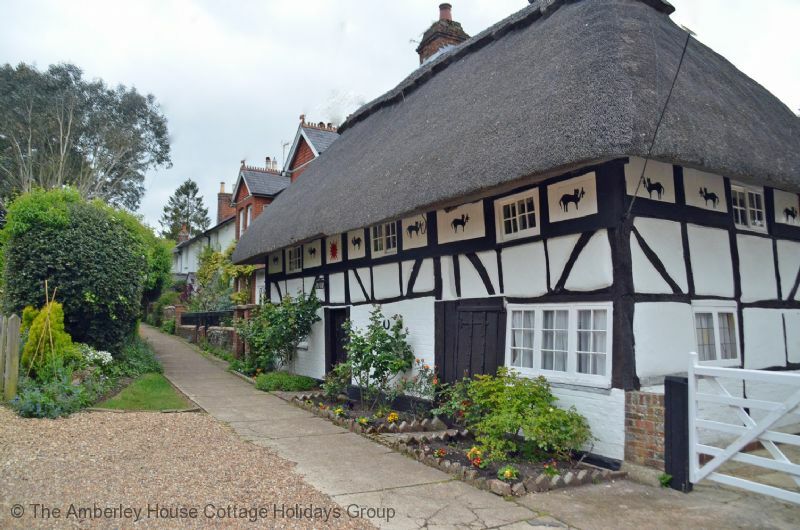 Enjoy all modern conveniences in an historical Sussex village. "We had a lovely time. The first surprise was the thoughtful and generous welcome pack. 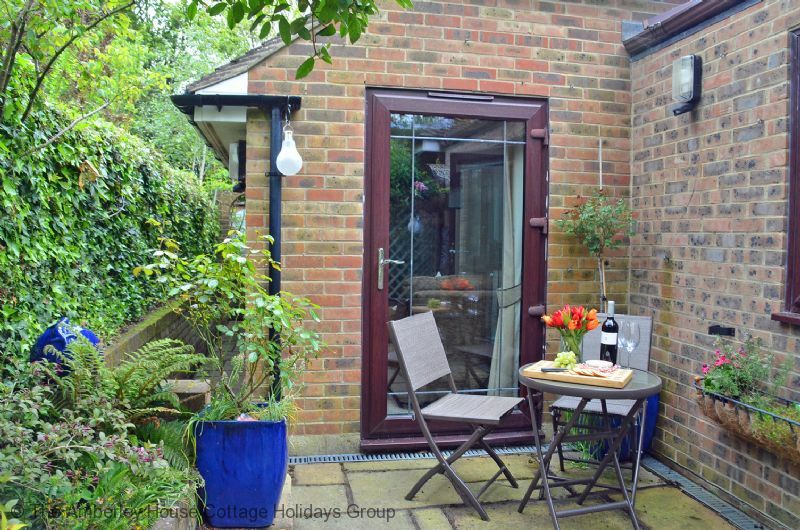 Enjoy the delicious home-made biscuits with a cup of tea in your own private courtyard garden. The second surprise was the charming and picturesque setting in the heart of historical Henfield: an ideal base to explore the Sussex countryside and the South Downs. 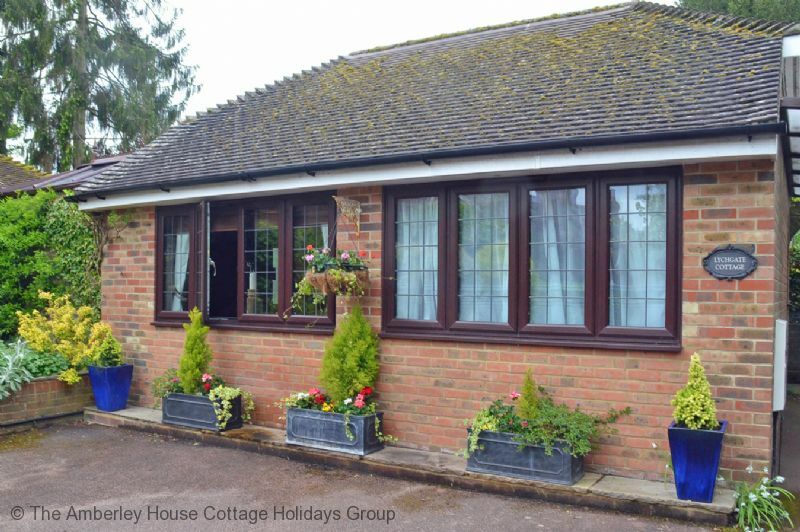 The cottage has everything you need for a long or short stay and the village shops are a short stroll away. 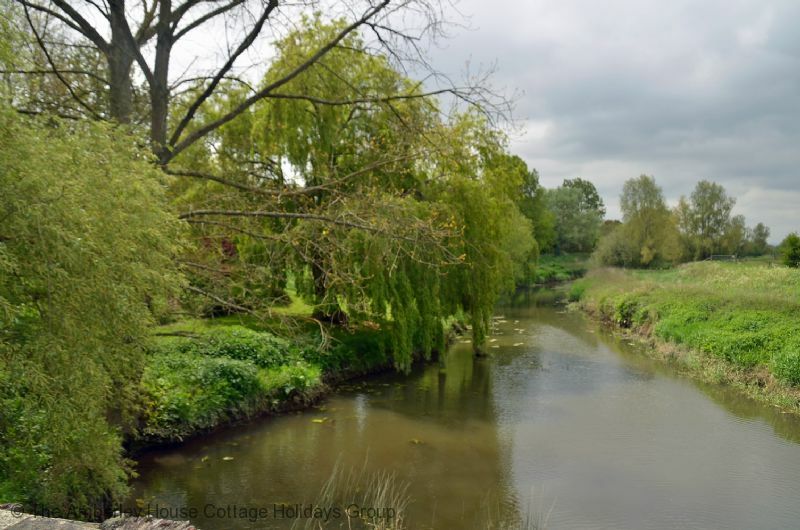 We can thoroughly recommend Lychgate Cottage. Clive and Elizabeth "
"Lychgate Cottage is very well equipped and is within a short walking distance of Henfield and all it's amenities. The owners were welcoming and helpful and also kindly provided a very generous welcome pack. We enjoyed our stay very much."